Includes headphones only. 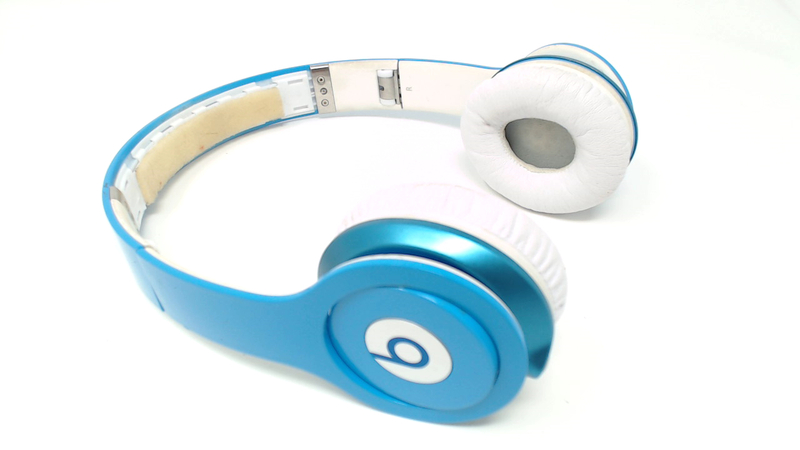 No audio cables, no rubber inner headband, no cases and no original packaging included. Fully Functional - plays music fine - but there are some scratches/wear on the plastic, which may feel tacky. 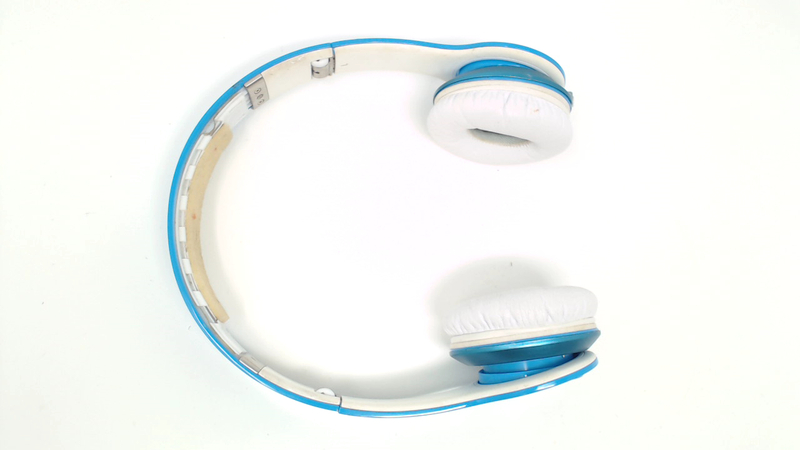 Ear pads are used, faded, discolored, and have some flaking but no holes, rips or tears. WIRED USE ONLY.